My name is Chris Freeman and I was a founding member/bassist for Attachments in Seattle from '83 - '85. In the above photo I'm the tall one in the back with the skunk hair and smirk. We were also on the KYYX cassette, Local Heros and New Faces and also on the first Chrismas in the Northwest compilation (track 10). Andy Davenhall and Christian Fulghum went on to form Sister Psychic. Fulghum can be reached at his new label, Fin Records: or at Facebook. I became a founding member of Pansy Division in '91. 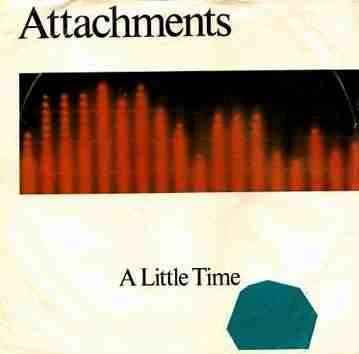 I just found a copy of a demo LP by Attachments which totally rocks. The songs are: WHY DON'T YOU COME BACK AND SEE ME ALL I NEED FROM YOU HAD TO BRIDGE A GAP RED LINES. 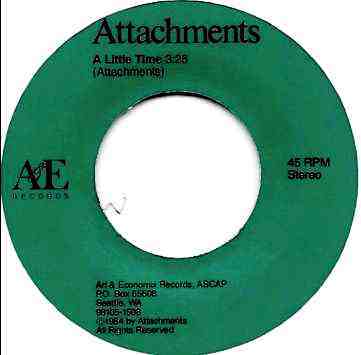 It was produced by ATTACHMENTS and Rob Perkins, engineered by Terry Gottlieb and mixed by Rob Perkins. 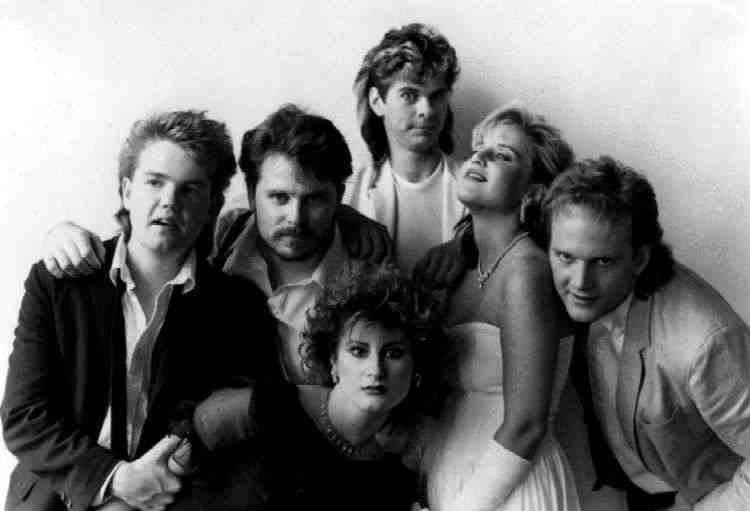 I auditioned for Albro Swift in October '82 and met Sally Schlosstein and Marcus Whiting who were in the band. The band broke up that night and I suggested that Sally and Marcus team up with Fulghum, Miller and myself, which we ended up doing. It was a bit of a Fleetwood Mac situation as Sally and Marcus ended up as a couple, and Fulghum/Miller were already a couple. We had Ty Hansen playing drums in Attachments for the first year or so. He had been in the Rockefellers with bassist Jonathan Poneman (later co-founder of Sub Pop) before that. Some of the other Pacific Northwest music groups represented in members of this group include: The Albro Swift Band, Huston Control, Squirrels, Panzy Division, and many others NW bands.